At the beginning of June we posted our test about AIAIAI’s TMA-1 which are great dj headphones but now we tested the new AIAIAI TMA-1 Studio (no mic), a version made for producers /soundengineers. 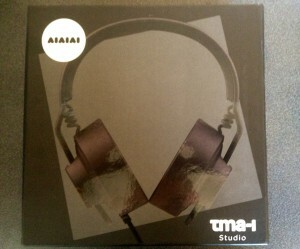 Before we come to the details of this product, we want to give you some information on AIAIAI, the company behind those headphones. 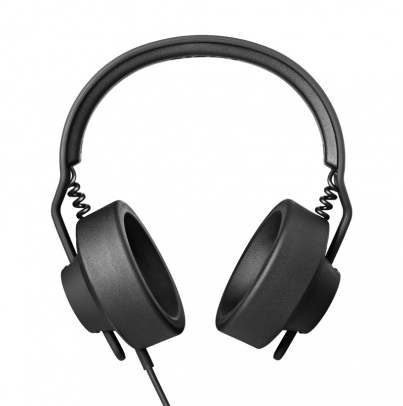 AIAIAI is a Danish audio design company developing high quality headphones and earphones with a simple but smooth design. Based in Copenhagen, the manufacturer always works experimental which is great to find new solutions and ideas and with their network of prestigious audio technicians, designers and djs they have the ability to develop and improve gear based on insider feedback. The TMA-1 Studio (no mic) is nestled in accoustic foam like the dj version but with a different pattern. Behind the foam, a bag with 1.5m detachable coiled cable, another bag including protein leather ear pads and a user manual written in 8 different languages can be found. It’s no secret that the TMA-1 Studio appearance is based on the dj version but there are some major changes making this version more comfortable on your head. The pads have been recreated to fit around almost every ear. Built very big, those ear pads are made for blocking background noises so that you just can focus on the sounds you are listening to. With the pleather pads you already have a good way to concentrate on the delivered music but with the more detailed PU foam pads you have a really closed seal which makes it almost impossible to get in touch with noises from the outside. 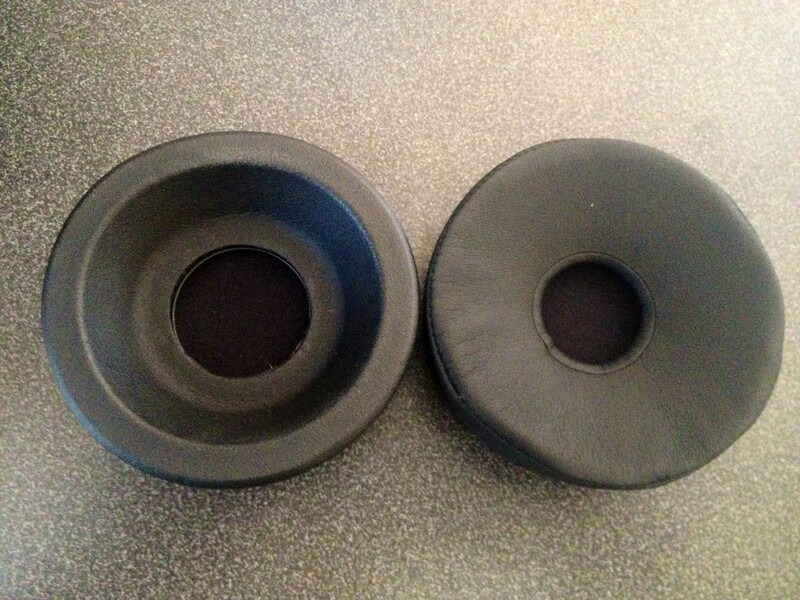 While the protein leather pads come in contact with your ear the PU foam ones wil get in contact with your head which you can easily see on the picture below. AIAIAI has done an amazing job as they found a way to develop drivers sounding natural, clear and everything but not lame. The highs can be compared to the one you might know from Sennheiser’s HD 25. They are clear and well pronounced. The mids seem to be very detailed while listening to different tracks. When it comes to the bass you will probably hear the biggest difference if you combine the studios with the TMA-1 dj version. It’s balanced, clean and absolutely not oversized, just all right for studiowork. 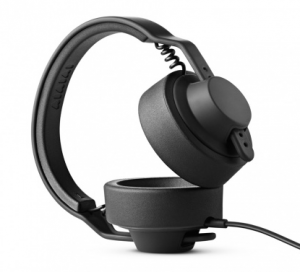 Everything sounds in harmony and the details of tracks can easily be heard because AIAIAI found a perfect way to create a signature sound but compared to other market leading headphones – e.g. Sennheiser HD 25 1-II -the sound is a bit darker. This is in general nothing to worry about as it depends on what kind of genre you are into and what kind of sound you prefer. For mastering it could be a minus but also a plus. The loudness is pretty intense but the sound won’t become weak the higher the volume is. When it comes to the usage, we can tell that those headphones are way more comfortable than the normal version. The headband comes with thicker padding and the redesigned and fully over-ear cushions feel better if you are wearing them quite a long time. The pleather ones are the ones you almost don’t realize while wearing those phones but the PU foam ones are better if it comes to cancelling noises from the outside. After heavily testing the AIAIAI TMA-1 Studio and comparing them with the normal version, we definitely feel a huge difference. While the dj version has a heavier bass, they engineers found a perfect way to build a great detailed and realistic sounding pair of headphones which is also easier to wear for hours as they are really comfortable plus they are better in cancelling noises from the outside. As we are not pros in reviewing sound gear, we did not take the FR curve too serious. The review is based on personal impressions and comparisons. What we can say is that we really enjoyed those headphones and would suggest them to you if you are looking for a balanced pair of headphones.